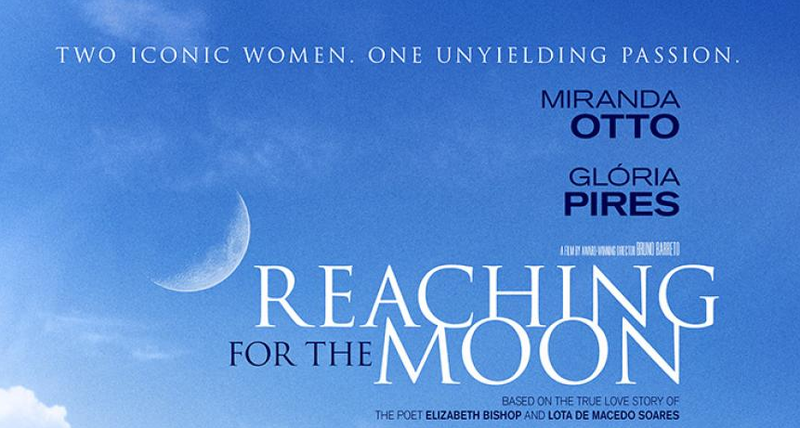 Reaching For The Moon, the latest directorial offering from Brazilian filmmaker Bruno Barreto, is a biographical dramatisation of the turbulent, sixteen year long love affair between American poet Elizabeth Bishop and Brazilian architect Lota de Macedo Soares that took place between 1951 and 1967. Taking inspiration from the account give in the book Rare and Commonplace Flowers by Carmem Lucia de Oliveira, the film attempts to highlight the personal obstacles and unconventional life choices made by the two women and the company they kept during their time together, a period filled with passion, poetry and painful personal demons. The film begins with Elizabeth Bishop, a talented American poet, struggling through a period of writer’s block so severe that she decides a change of scenery will be helpful to her creative process. Leaving the bustle of New York for the tranquility of the Brazilian forest, Bishop goes to stay with long time friend Mary Morse and her lover, Brazilian architect Lota de Macedo Soares. In typical romantic narrative fashion, the two women initially fail to find common ground and represent two different kinds of women, Bishop a restrained and insecure conservative and Soares a free loving, free living, hot blooded politico. Over time though, we see their attraction to one another begin to blossom and at the expense of her life long friend’s happiness, Elizabeth and Lota succumb to their feelings and begin a life together. This relationship sparks a resurgence in Bishop’s creativity and in time she receives the 1956 Pulitzer Prize for her collection of poems entitled North and South, but as her success grows, so does her dependency on alcohol. The bulk of the narrative concerns itself with the strain Bishop’s alcoholism puts on her relationship with Soares, and the film settles down and finds its place as a genuinely interesting and engrossing drama carried by high quality acting performances from its leading cast. 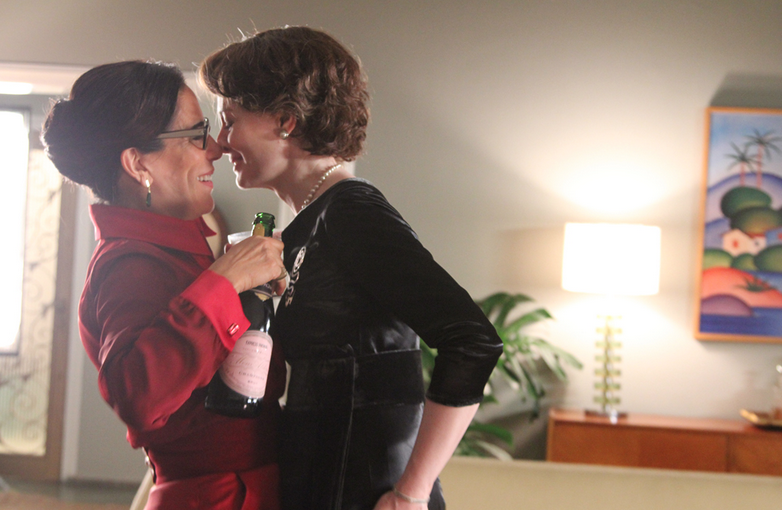 One notable criticism that must be highlighted, however, is the way that some important milestones throughout the plot are not given enough time to play out satisfactorily, these being the initial signs of love between the two women and the climactic tragic event of the affair’s ending. Both sequences are dealt with far too swiftly by the filmmakers and as a result end up feeling rather contrived in comparison to the well paced and well explored middle section. Lota completely changes the direction of her life in order to accommodate her deep love for Elizabeth, but the audience are shown such a brief sequence of events leading up to their eventual union that the relationship initially feels rather rushed and hollow when compared to the epic romantic dialogue that the couple share. The strength of the proceeding scenes, however, help to win the audience over and make us believe in the depth of the relationship shown on screen. In what in truth is a fairly straight forward biopic, it is the impressive work by the film’s cast that make it such an enjoyable experience. Miranda Otto as Elizabeth Bishop possesses all the talent needed to portray a character so fragile and dependent on substances outside of her control. Gloria Pires shines as Lota de Macedo Soares, displaying all the bravado and seductive confidence that makes it effortlessly easy for the audience to understand the attraction that Bishop felt for her. The chemistry between the two actresses is entirely believable, a vital narrative aspect with the events of the plot conspiring so hard to tear the couple apart. Covering a story sixteen years in length, both women are required to depict characters that change both physically and psychologically, and every change and development the actresses have to undertake feels authentic to the on screen personas that they have created. The audience become attached to the characters, perhaps sympathising with one more than the other and vice versa, and this is the sort of engagement that only real high quality drama evokes. The film’s supporting cast perform with little to do but satisfactorily enough, with special mention going to Tracy Middendorf as Mary Morse, Elizabeth’s friend and Lota’s original lover, the closest thing to a villain within the narrative. Overall, Reaching For The Moon is a thoroughly enjoyable biopic that sheds some light on a love story and life that one may not have much previous knowledge of. Though the romantic aspect of the narrative takes centre stage, the political discord in Brazil at the time, the unfortunate disease of alcohol addiction and the miserable reality of mental illness are all elements of the plot that come together to make a genuinely engaging drama with multiple layers and dimensions. Having had no previous experience of Elizabeth Bishop’s poetry, the film did a good job of making her work appealing enough to want to explore further after the credits had rolled. It may not be an awards contender or a picture that is held in high regard for years to come, but for two hours the well acted and endearing story of Elizabeth Bishop and Lota de Macedo Soares makes for engrossing and satisfying cinematic viewing. Good to see a biopic about a slightly lesser known figure!